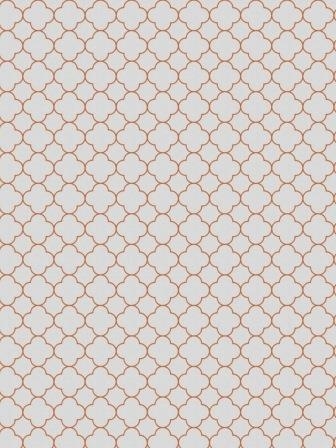 Absolutely gorgeous ogee medallion pattern in a orange on off-white color palette. See how great this fabric will look in your home with a sample cut. Repeat: V 2.5" - H 2.5 "